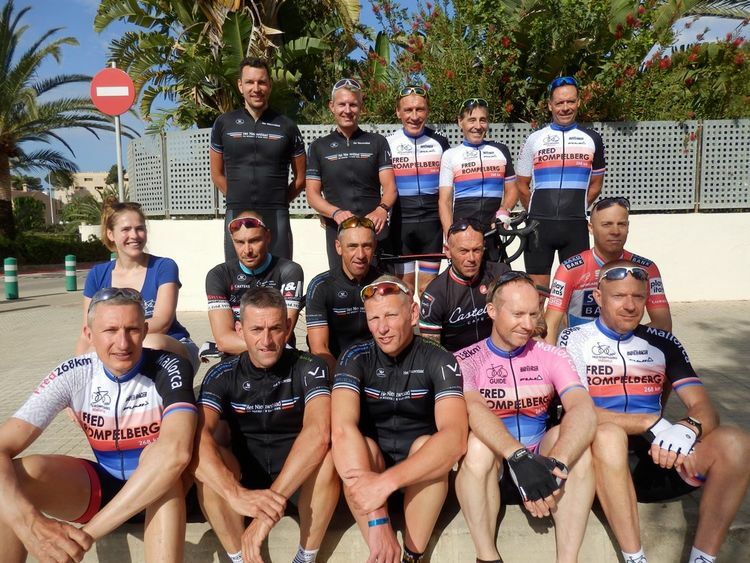 Laatste Nieuws over Fred Rompelberg Bicycling Team Mallorca >> Fred Rompelberg 268 km: All hotels Mallorca 2019 bookable with early bird prices with Fred 268 km! 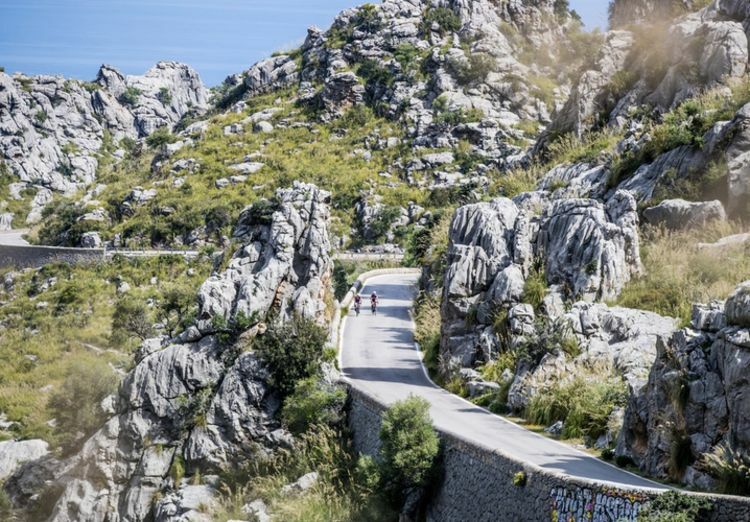 Alle hotels Mallorca 2019 direct boekbaar met vroegboek prijzen bij Fred 268 km! Ook vele vliegtickets voor 2019 zijn reeds boekbaar tegen zeer goede prijzen, kijk op internet of vraag bij ons en boek vroeg! Zomerperiode van: 17 juni tot 14 september 2019. In het Najaar van: 15 september tot 27 oktober 2019. ****Vakantie bij dochter Tiziana in Canada. Dank Tiziana voor de goede zorgen, we hebben een hele fijne tijd gehad! ****Grote Prijs Fred Rompelberg is alweer voor de 6e keer verreden op de Wielerbaan te Geleen met als goede organisator Michel van Dijke. Michel is ook zeer goed bezig met de hele jonge wielrenners. Geweldig Michel! ****De 2e editie van Chasse Patate (De vroegere Preuvenetour) is ook weer onder ideale weersomstandigheden verreden met wederom een goede organisatie met veel tevreden deelnemers. 1. Niels Volders uit Antwerpen, Belgie. Fred, Tiny en Team. We hebben een prachtige fietsvakantie gehad. Alles was geweldig: team, organisatie, kleding, de fietsen en het fietsen met de prachtige routes, echt alles en ook nog super weer. We wisten al van de vorige jaren dat het erg goed was. Tot volgend jaar, Niels Volders uit Antwerpen, Belgie. 2. Olivier Haeck uit Frankfurt, Duitsland. Fred Rompelberg team. Wij waren in het voorjaar een week op Mallorca, ik vond het geweldig bij jullie. Hotel en eten was perfect. Met de groepen mee gereden echt, geweldige leuke routes en mooie uitzichten en in het bijzonder geweldig team. Ik kom zeker nog terug! Groet, Olivier Haeck uit Frankfurt, Duitsland. 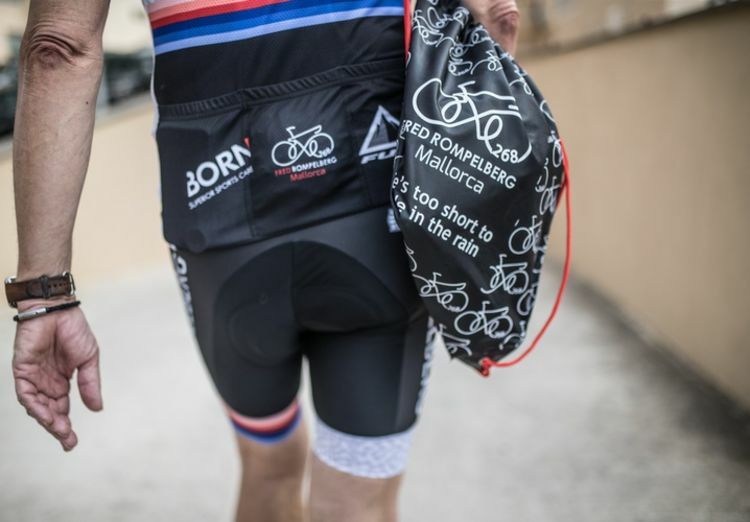 Alle Hotels Mallorca 2019 buchbar mit Frühbucherpreise mit Fred 268 km! Auch viele Flug-Tickets für 2019 sind bereits buchbar zu sehr guten Preisen. Schauen Sie im Internet oder fragen Sie uns, und buchen Sie früh! Vom 4. Oktober 2018 mit SUPER Preisen bei Hotel Orient ab: € 431. Vom 4. Oktober 2018 mit SUPER Preisen bei Hotel Taurus Park ab: € 467. Vom 4. Oktober 2018 mit SUPER Preisen bei Hotel Palma Bay Club ab: € 394. Sommerperiode von: 17. Juni bis 14. September 2019. Im Herbst von: 15. September bis 27. Oktober 2019. ****Urlaub mit Tochter Tiziana in Kanada. Danke Tiziana für die gute Pflege, wir hatten eine sehr gute Zeit! 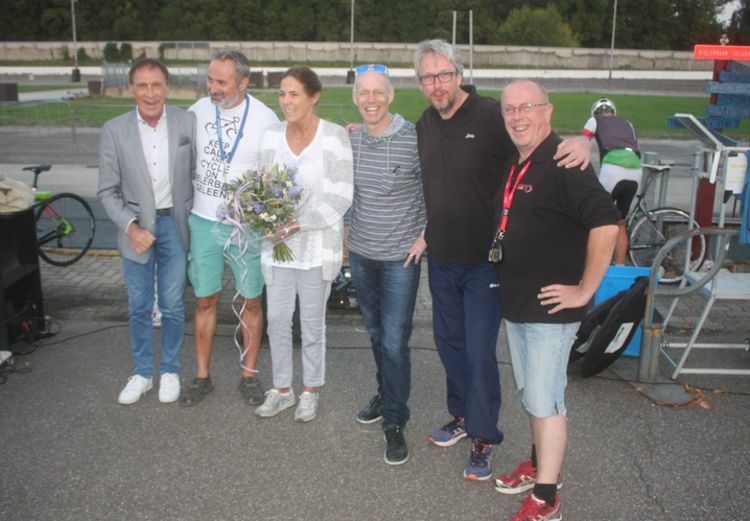 ****Der Grand Prix Fred Rompelberg fand bereits zum 6. Mal in der Radrennbahn in Geleen in die Niederlanden mit dem Organisator Michel van Dijke statt. Michel ist auch sehr beschäftigt mit den jungen Radfahrern. Großartig Michel! ****Die 2. Ausgabe von Chasse Patate (Die ehemalige Preuvenetour) fand wieder unter idealen Wetterbedingungen statt, mit einer guten Organisation und vielen zufriedenen Teilnehmern. 1. Niels Volders aus Antwerpen, Belgien. Fred, Tiny und Team. Wir hatten einen wunderschönen Radurlaub. Alles war wirklich toll: Team, Organisation, Kleidung, Rennräder, das Radfahren und auch super Wetter. Wir wussten von den vorherigen Jahren, dass es sehr gut war. Bis zum nächsten Jahr, Niels Volders aus Antwerpen, Belgien. 2. Olivier Haeck aus Frankfurt, Deutschland. Fred Rompelbergs Team. Wir waren auf Mallorca für eine Woche im Frühling, Es war großartig bei dir. Hotel und Essen war perfekt. Mit den Gruppen gefahren, wirklich toll, lustige Routen und schöne Aussichten und vor allem tolles Team. Ich werde auf jeden Fall wiederkommen! Grüße, Olivier Haeck aus Frankfurt, Deutschland. 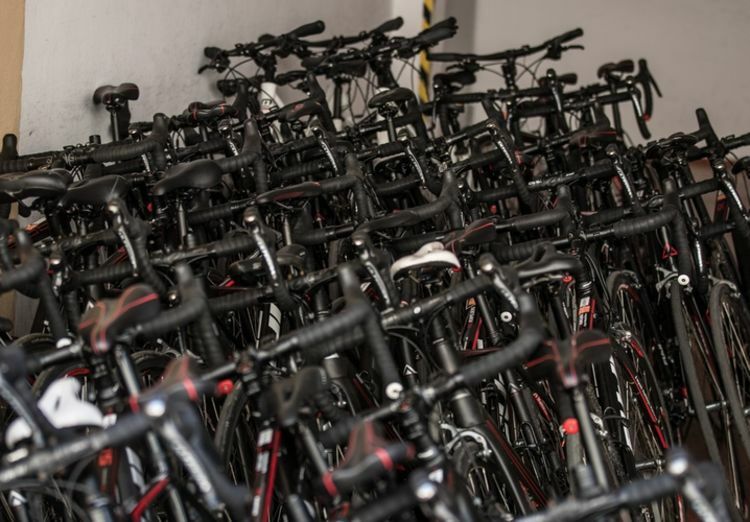 All hotels Mallorca 2019 bookable with early bird prices with Fred 268 km! Also many flight-tickets for 2019 are already bookable at very good prices, check the Internet or ask us and book early! We are on Mallorca from 14 September till 28 October, 2018. From 4 October 2018 with SUPER prices by hotel Orient from: € 431. From 4 October 2018 with SUPER prices by hotel Taurus Park from: € 467. From 4 October 2018 with SUPER prices by hotel Palma Bay Club from: € 394. Summerperiod from: 17 June till 14 September 2019. In the Autumn from: 15 September till 27 October 2019. Winterperiode from: 28 October till 31 December 2019. ****Holiday with daughter Tiziana in Canada. Thank you Tiziana for the good care, we had a very good time! 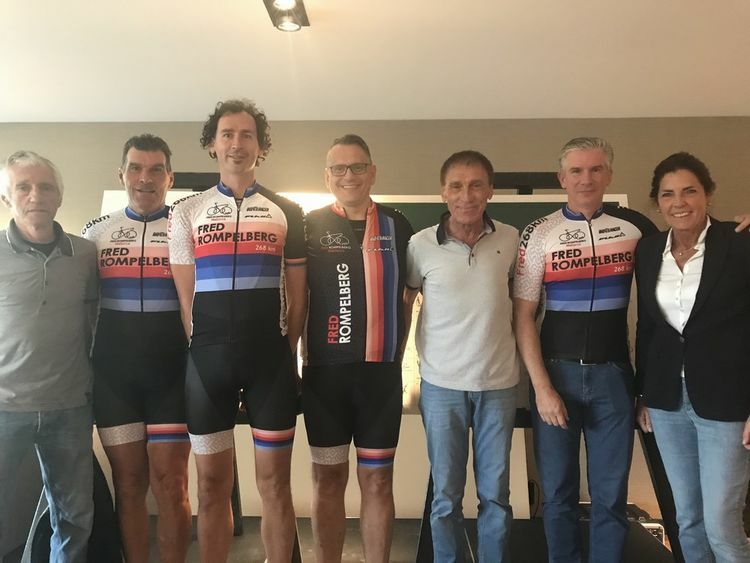 ****Grand Prix Fred Rompelberg has already been held for the 6th time at the Velodrome in Geleen with organizer Michel van Dijke. Michel is also very busy with the young cyclists. Great Michel! ****The 2nd edition of Chasse Patate (The former Preuvenetour) is again held under ideal weather conditions with again a good organization with many satisfied participants. 1. Niels Volders from Antwerp, Belgium. Fred, Tiny and Team. We had a wonderful cycling holiday. Everything was great: team, organization, clothing, cycling, bicycles, really everything and also super weather. We knew from the previous years that it was very good. Until next year, Niels Volders from Antwerp, Belgium. 2. Olivier Haeck from Frankfurt, Germany. Fred Rompelberg team. We were in Mallorca for a week in the spring, I loved it with you. Hotel and food was perfect. Cycled with the groups, really great, fun routes and beautiful views and especially great team. I'll definitely be back! Greetings, Olivier Haeck from Frankfurt, Germany. 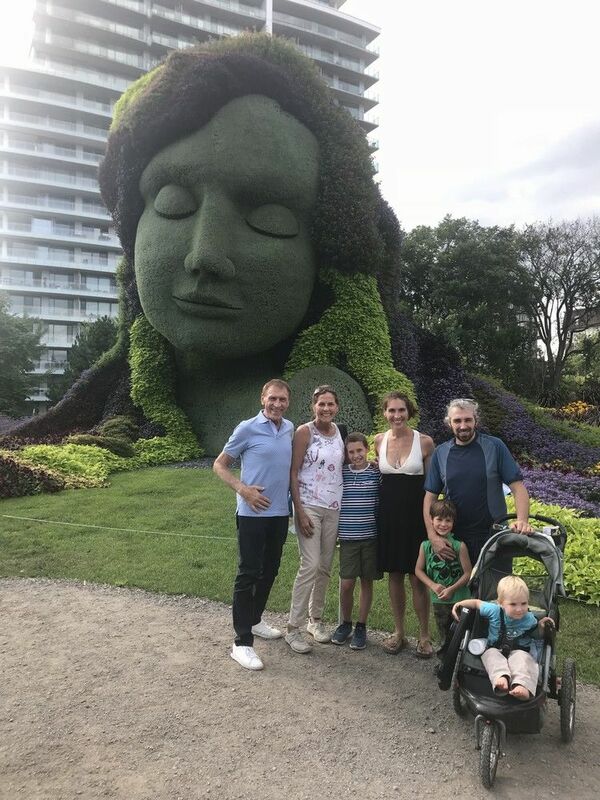 Holiday with daughter Tiziana in Canada, with in the picture: Fred 268 km, Tiny and Tiziana Rompelberg, Jael St-Louis, Manny, Dany and Matis Fortin. 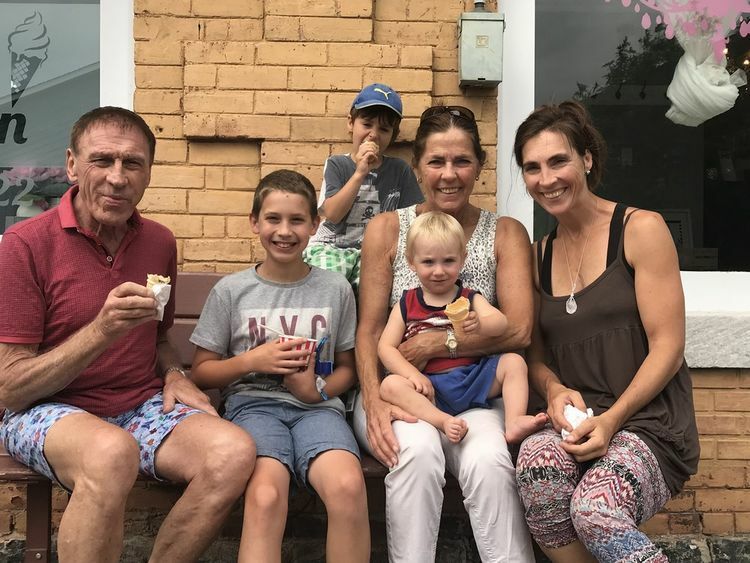 Holiday with daughter Tiziana in Canada, enjoy a delicious ice cream, with in the picture: Fred 268 km, Jael St-Louis, Manny Fortin, Tiny and Tiziana Rompelberg and Matis Fortin. 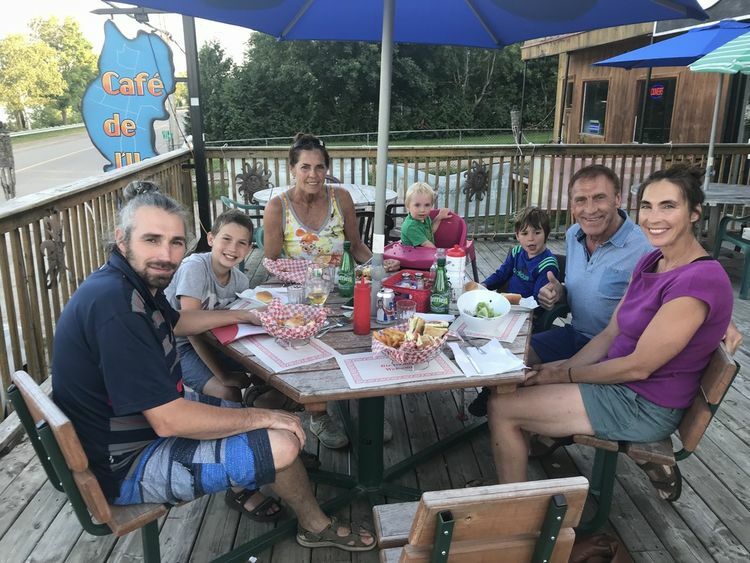 Holiday with daughter Tiziana in Canada, with in the picture: Dany Fortin, Jael St-Louis, Tiny Rompelberg, Matis and Manny Fortin, Fred 268 km and Tiziana Rompelberg. 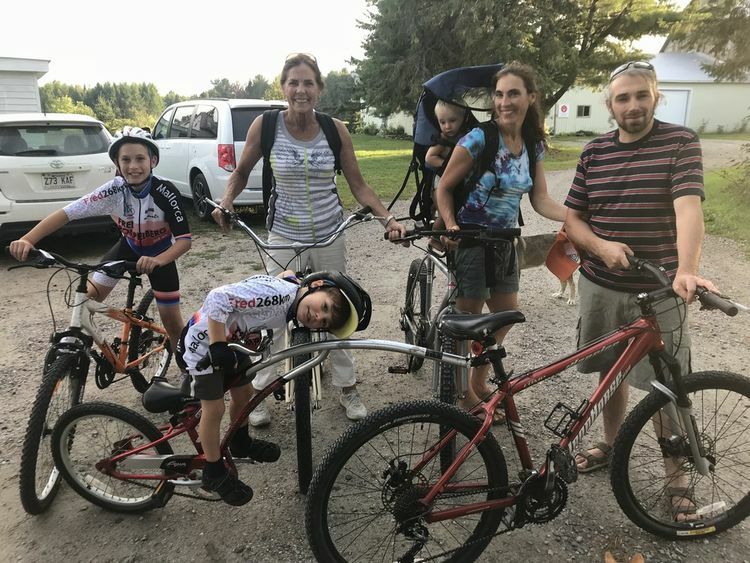 Holiday with daughter Tiziana in Canada, enjoy a cycling-tour with in the picture: Jael St-Louis, Manny Fortin, Tiny and Tiziana Rompelberg, Matis and Dany Fortin. Ingrid Munneke-Dusseldorp, a fantastic woman who became World Champion in August 1972 with rowing in the skiss, Ingrid was completely alone in the skiss. In addition, Ingrid is also proclaimed as the rower of the century! Ingrid, congratulations again, fantastic, formidable and we are very proud that you and your husband Jannes were allowed to join us on Mallorca. With in the picture: Ingrid Munnike-Dusseldorp, Fred 268 km, Tiny Rompelberg and Jannes Munnike. 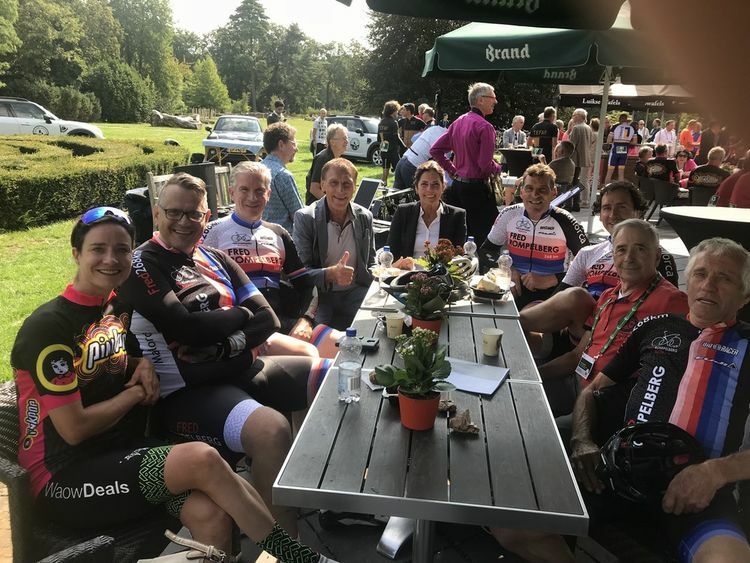 The 2nd edition of Chasse Patate (The former Preuvenetour) is again held under ideal weather conditions with in the picture: Ger Harings, Berrie Thoolen, Jetse Scholma, Cor Pen, Fred 268 km, Theon Kennis and Tiny Rompelberg. 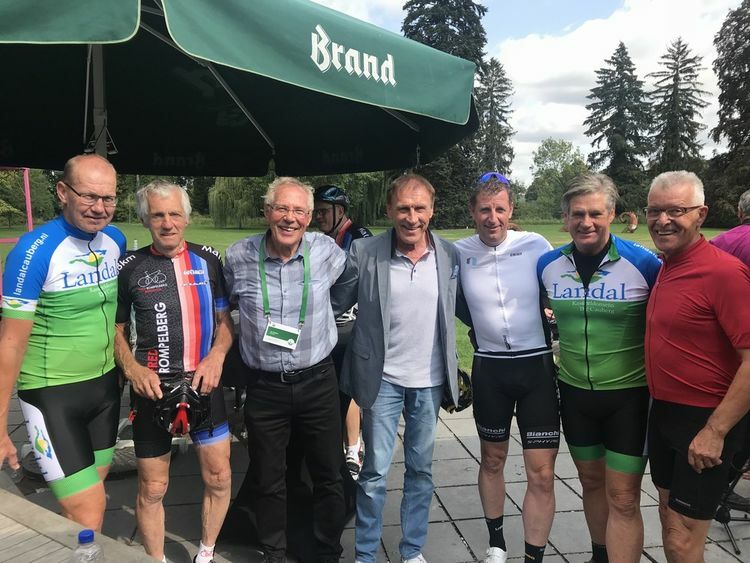 The 2nd edition of Chasse Patate (The former Preuvenetour) is again held under ideal weather conditions with in the picture: Joop Atsma, Ger Harings, Jan Krekels, Fred 268 km, Frans Maassen, Leo van Viet and Sef Vergoosen. 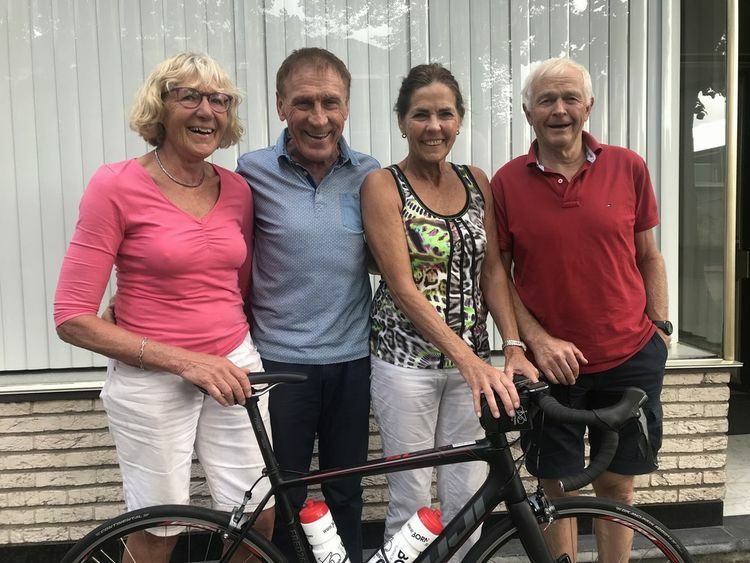 Grand Prix Fred Rompelberg has already been held for the 6th time at the Velodrome in Geleen with in the picture, the peleton, Michel van Dijke and Fred 268 km. 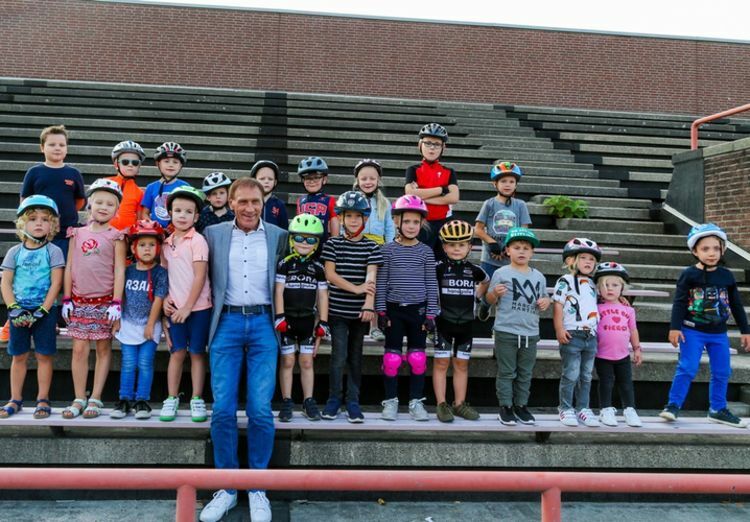 Grand Prix Fred Rompelberg has already been held for the 6th time at the Velodrome in Geleen with in the picture, the youth of Michel van Dijke with Fred 268 km. 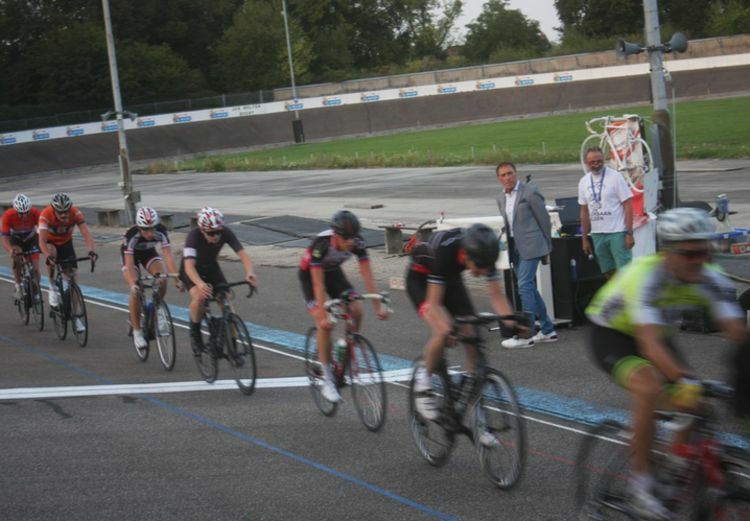 Grand Prix Fred Rompelberg has already been held for the 6th time at the Velodrome in Geleen with organizer Michel van Dijke with in the picture his crew on the Velodrome in Geleen: Robert Wendler, Bernd Oldenbeuving en Jack Theunissen and Tiny and Fred 268 km. 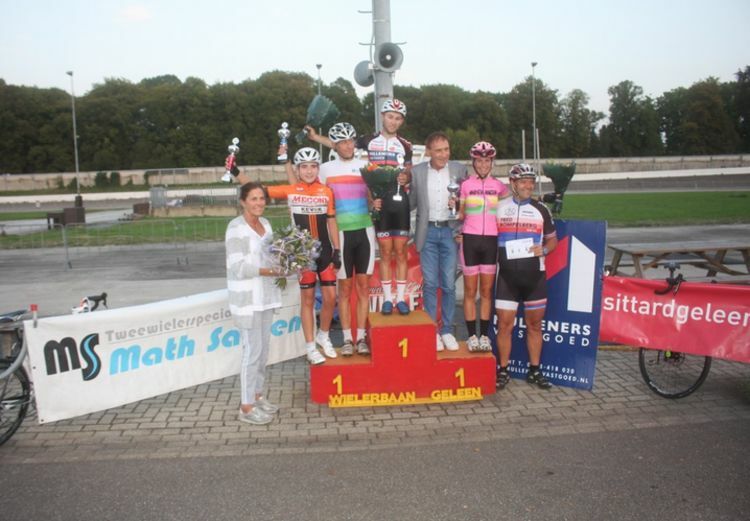 Grand Prix Fred Rompelberg has already been held for the 6th time at the Velodrome in Geleen with in the picture the winners: Jarne Vannut (12 years), Victor Widdershoven, Luuk van Helden, Tamara Janssen, Ed Meerburg and Tiny and Fred 268 km. The group of Peter Pylyser comes already many years to us to Mallorca, now ready to go to make a nice tour on Mallorca. Good luck Peter! 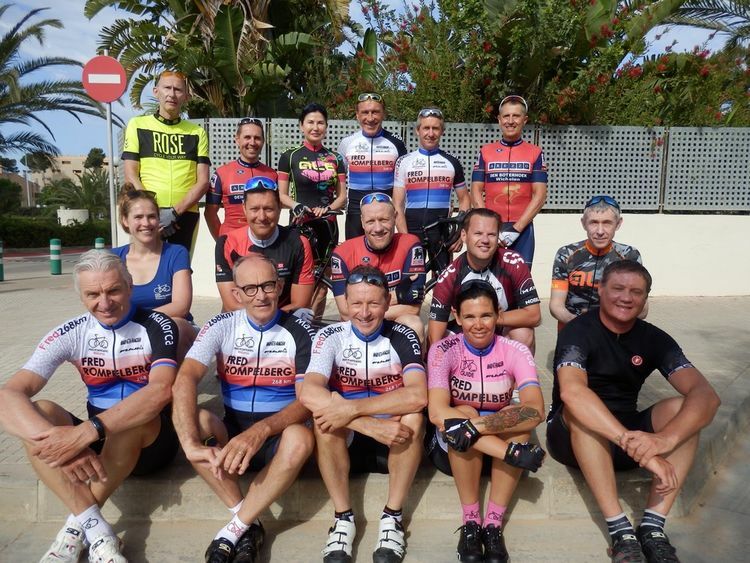 The group of our teamleader Brenda Zaal, ready to go with our hobby cyclists to make a nice tour on Mallorca. Good luck Brenda! 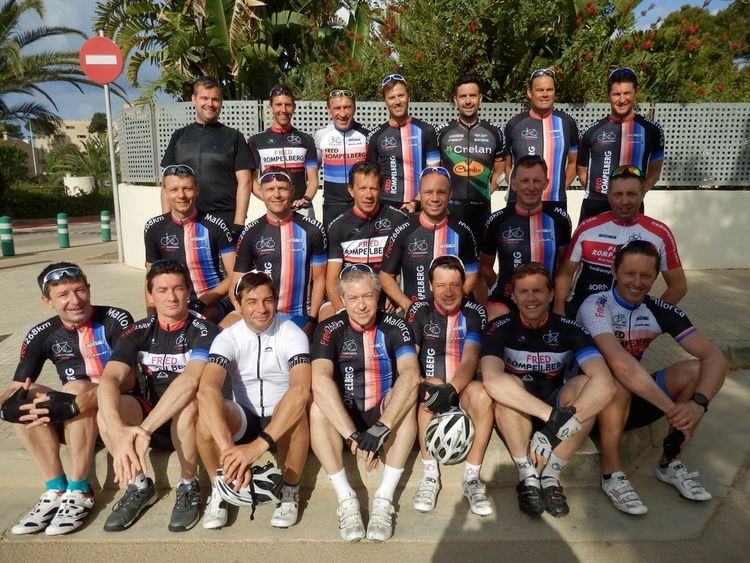 The group of our teamleader Herman Janssen, ready to go with our hobby cyclists to make a nice tour on Mallorca. Good luck Herman!